Is It Possible to 3D Print with Wood? Is there really a wood 3D printer? Check out our in-depth guide to learn all you need to know about wood 3D printing today. Wood 3D Printing Guide Is It Possible to 3D Print with Wood? Well, not exactly, but since 2012, printing with wood filament has been possible. But what is wood filament? 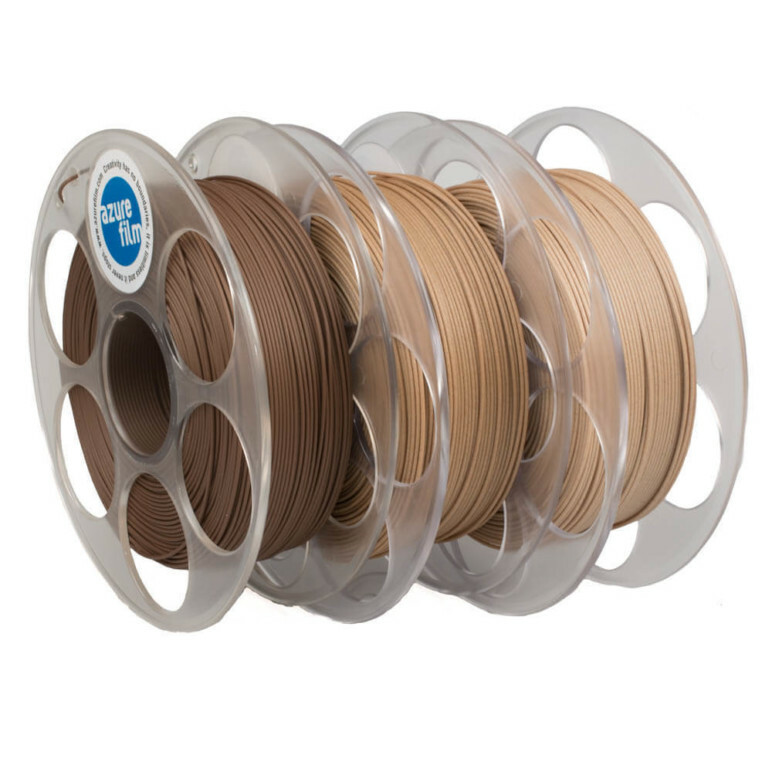 Basically, it’s PLA filament that contains wood fiber. Once printed, the final object looks and feels surprisingly wood-like. These days, many filament manufacturers offer their own take on wood filament, with many types of wood being represented. 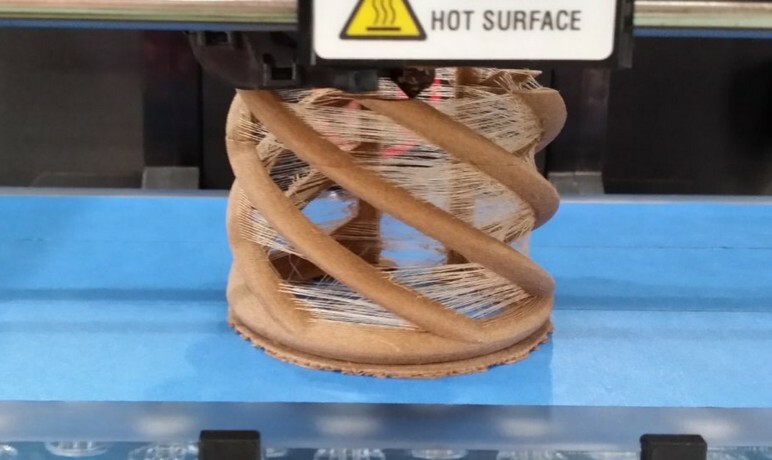 Nevertheless, wood filament can still be a “temperamental” material, with the potential for difficulties during printing. In the following, we take a look at exactly what wood filament is and how to use it. We’ll also discuss post-processing and mention a few popular brands. If you’d like to know more about the various types of PLA, check out our PLA filament guide. 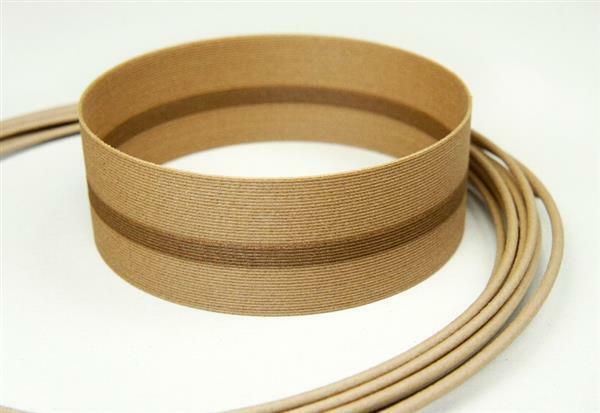 Typically, wood filament is composed of around 70% PLA and 30% wood fiber. Because of the added wood, it tends to be more delicate than regular PLA, breaking more easily. Early wood filaments were made with sawdust, but the final prints looked more like cardboard than wood. The advantage was its greater flexibility, but with today’s wood fiber filaments, 3D printed objects can look, feel, and smell just like carved wood. Depending on the brand, you can find several different types of wood filament, like bamboo, birch, cedar, cork, ebony, olive, pine, and even coconut! But pay close attention to the filament you buy: Make sure it actually has wood fiber and not just wood coloring, because the finish won’t be the same. Similar to regular PLA, it’s best if you preheat your nozzle to between 170 and 220 ºC. Naturally, the exact temperature will depend on the filament. One interesting thing with wood filament is that you can experiment with different temperatures to produce different colors and finishes. That’s because an extruder at higher temperatures will burn the wood fiber, creating darker shades. Just be aware that wood is highly flammable. If the hot end is too hot and the nozzle isn’t extruding filament fast enough, your print could become damaged or even catch fire. To prevent clogging, it’s recommended to equip your printer with a nozzle larger than the standard 0.4 mm. Additionally, it’s especially important with wood filament to keep the nozzle clean! To create quality prints with wood filament, it’s a good idea to use a heated bed, but it’s not necessary. If you have one, preheat it to somewhere between 50 and 70 ºC. What is necessary is to provide an adhesive surface, either with painter’s tape, glue stick, a glass plate, or PEI sheets. Otherwise, it’s very common for parts to slide around during printing. In general, don’t be afraid of adjusting the number of layers when using wood filament. The material is typically very good at hiding layer lines, so having more or less usually isn’t an issue. Because wood filament solidifies relatively quickly, preventing clogging can sometimes be as simple as increasing print speed. Cura has a setting called combing, which recalculates the movements of the nozzle to stay inside the print. This will increase printing time but prevent oozing and improve quality. This is the same thing as the “avoid crossing outline for travel movements” setting in Simplify3D. Simplify3D has a setting called coasting, which reduces the pressure on the nozzle every time it reaches the end of a printing segment. You can also try to adjust some of the parameters like the speed and the volume of coasting material. Using negative values may help reduce the chance of oozing or stringing. When the 3D printing process is finished, you can start the final touches. Yet, with wood filament, you can even start with coloring during printing. As mentioned earlier, changing the print temperature will produce subtle color changes. Sanding a wood 3D print is very similar to sanding a normal piece of wood. Start with a harder grit and gradually work your way to a softer one until the object is smooth. Just like real wood, objects 3D printed with wood filament are porous, meaning they easily absorb different dyes and stains. Consider using a stain to produce different colors and surface finishes. If you have access to a CNC laser machine, an engraver, or even a pyrography set, you can add features or drawings to your finished piece of work. 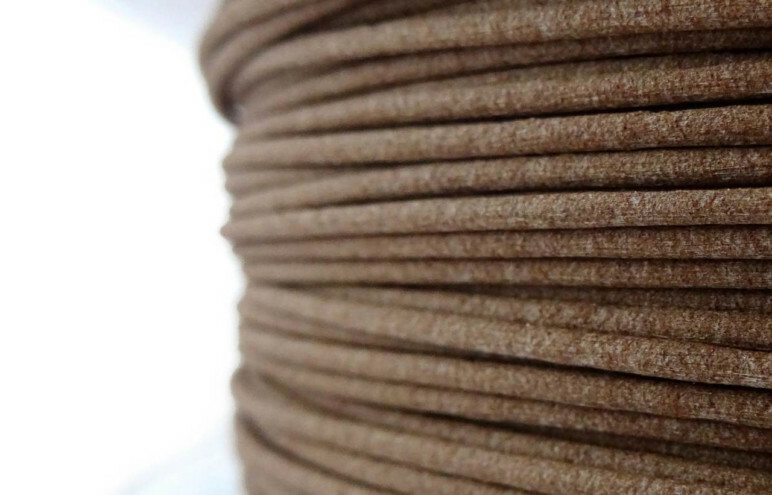 ColorFabb: WoodFill and CorkFill are made in their facilities in the Netherlands. If you check the “Tips & Tricks” for each filament, you can learn how to get the best results for that material. 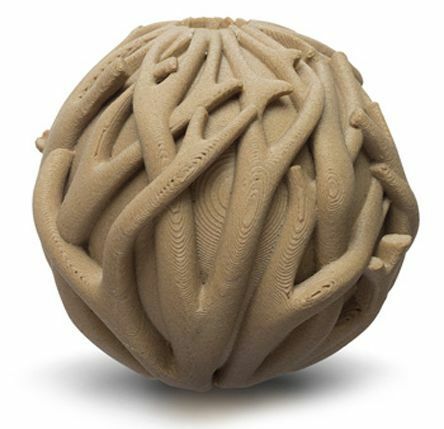 Fillamentum: Timberfill is a line of four different wood composite filaments. They’re 100% biodegradable in water and anaerobic conditions, but are not recommended for food applications. Recommended settings are provided for each of the four filaments. 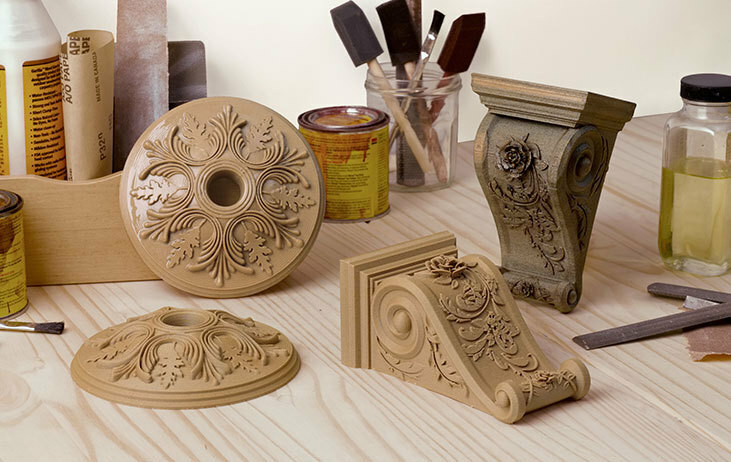 FormFutura: A well-known brand, this manufacturer produces seven different wood-based filaments, including those made with birch, cedar, coconut, ebony, olive, pine and willow! All are made up of 40% wood particles. Polymaker: PolyWood isn’t actually a wood filament because it lacks wood fiber. However, it’s a good alternative if you want the look of wood and don’t care for any extra printing difficulties. 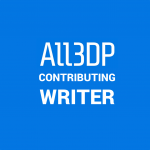 License: The text of "Wood 3D Printer – All About Wood 3D Printing in 2019" by All3DP is licensed under a Creative Commons Attribution 4.0 International License.